On the real estate agency quest (not on list) (to get bigger houses) if you complete it in time you gate an awesome mansion for free! Hannah12 wrote: On the real estate agency quest (not on list) (to get bigger houses) if you complete it in time you gate an awesome mansion for free! Do you mean the Extreme Home Takeover quest? 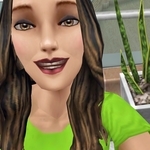 That quest and the Simtown Express quest are the only ones not on the list because they were added after Perturbee decided she no longer wanted to update her blog. 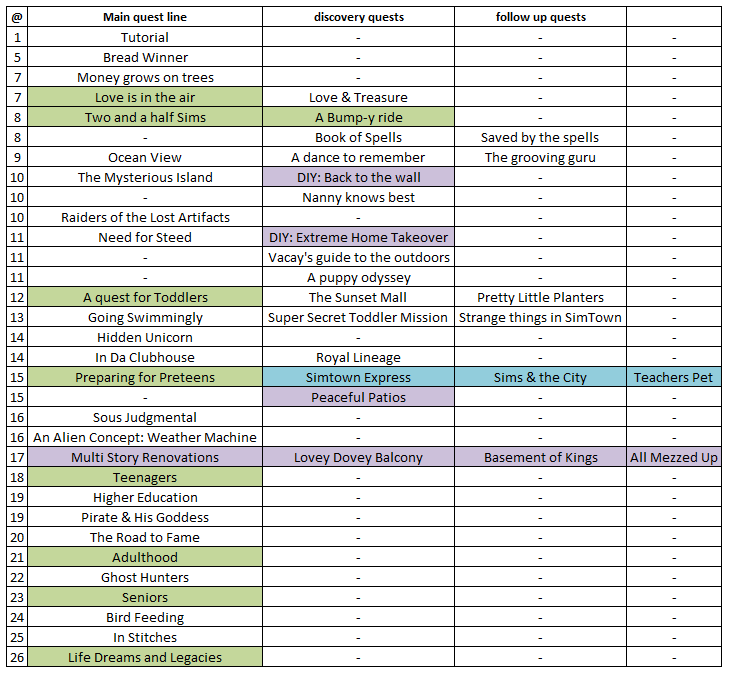 If you are talking about the Ocean View Estate quest - that is on the list and posted on the blog (here). That is the quest that unlocks the premium (bigger) lots and has a house for a limited time reward (Beachside Escape). I am not sure if tho is the right place for tho question but does anyone know when the next magical rainforest or the romantic island event will start again? Yeah, I am really curious too. On the romantic island I have most things except for a few, and I don't even have the magical rainforest. I have 2,000+ SP now so I would be able to instantly build most, or all of the things on both if they just brought it back. Plus, I didn't get the spa either. Unsure. But it has almost been a year since the Romantic Island event, and it hasn't been repeated yet. Hoping that they repeat it next update because it was released around Valentine's Day and that would fall under the next update. Hobby items across from Police Station! I have been away from the game for about 3.5 years, and quite a bit has changed. I am trying to get back into the swing of things by performing some of the Discovery Quests. Discovery quests become available alongside the regular quests and they need to be started by performing or building something. For example: The Book of Spells requires you to build Sorcerous [sic] Supplies to start the quest, whereas A Dance to Remember is started by tapping the bubble above the couple in the Park. [emphasis added] This means you can do these at the same time with a regular quest. Dare I touch any of the characters to learn what is on offer--in the park, for example? Teen Idol Mansion: 3 Bliss Drive. Yes, you can. It will give you the information you want. To start the quest, you have to then tap the green 'begin quest' button. You can also save the game to the cloud before checking and if you start a quest by mistake you can reset and download the saved game. Just a note that the quests on Perturbee's blog and here on the forum have been checked recently and are up-to-date. Recently the game celebrated its 7th anniversary. Over the years more and more quests were added to the game. Player made quest lists are either not updated or bursting at the seams. 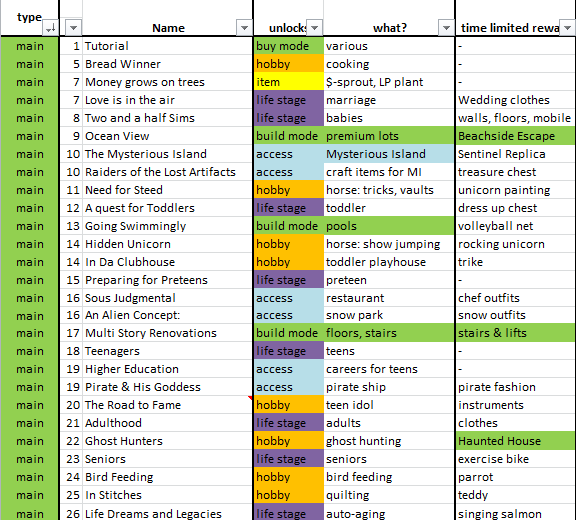 In any case I'm overwhelmed with lists, so I tried to transform it into tables. 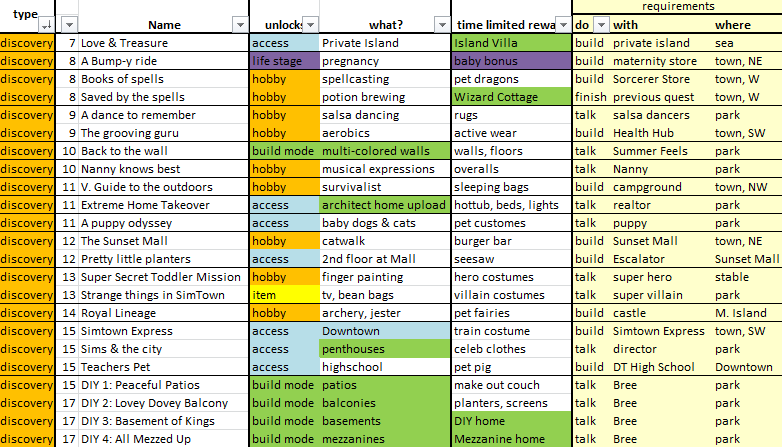 Highlighted quests refer to Life stages and social interaction status, build mode and DownTown Area. Last edited by ErinPW on 03 Jan 2019, 14:50, edited 1 time in total. Reason: Edited title so it matches the topic. Level 52/55 - Pirate and the Goddess quest.